BEAST's Lee Kikwang and Son Dongwoon has some issues on January 13th. 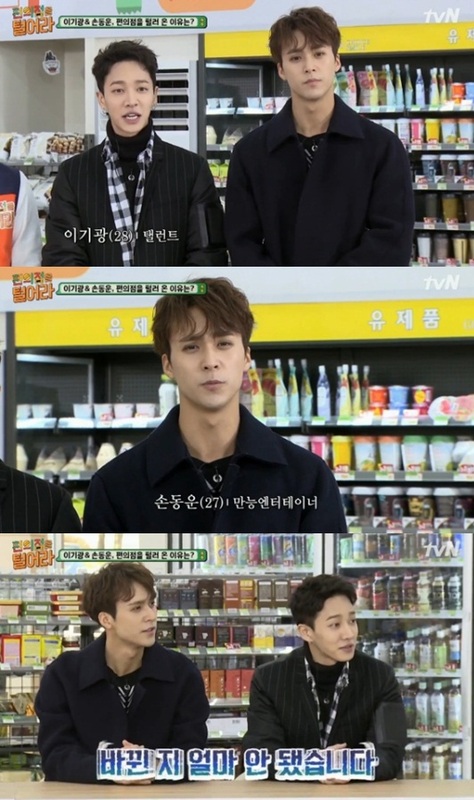 Mainly the fact they couldn't say the group name "BEAST" during an appearance at tvN's "Raid the Convenience Store". Due to their departure from Cube Entertainment, the members are unable to mention the group name during any events or appearances. However, not all was bad during the appearance. The members invoked laughs when Lee Kikwang was introduced as an actor and Son Dongwoon as a "multi-entertainer". The host, Lee Soo Geun, jokingly nicknamed the duo "infinite entertainers". Both Kikwang and Dongwoon stated, "It was only a short time ago we changed our jobs." The members are still busy preparing new songs, but they are also focusing on recharging.